Colombian President Juan Manuel Santos praised the “massive participation” in legislative elections in which more than half of the country’s voters abstained. With 99% of the votes counted, Colombia’s National Registry registered a turnout of 48.8%. More than half of the 36.5 million Colombians who are eligible to vote stayed home. “This is a good thing for democracy,” the president said after the allegedly corruption-ridden elections. 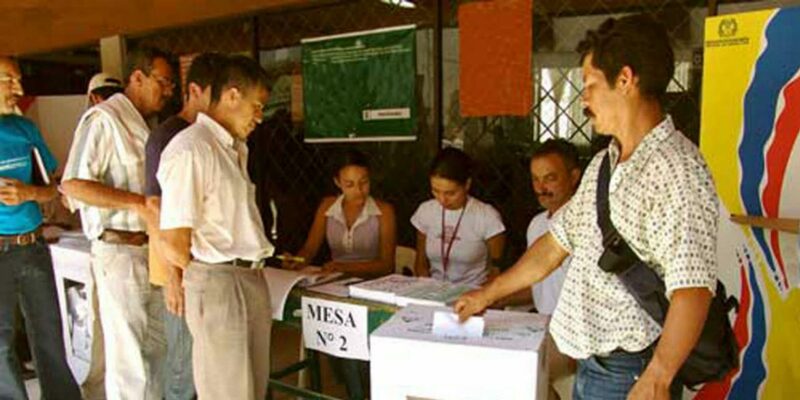 While Santos’ claim of a “massive” voter turnout may be grossly exaggerated, historical record show that this year’s legislative elections saw the highest turnout rate since 1990 when 55.4% of the electorate took part in the elections to elect a new Congress. The previous time that voter turnout in free elections surpassed 50% was in 1974, the first legislative vote after the “National Front,” a 16-year period in which the Conservative Party and the Liberal Party alternated political control every four year. Colombia’s 1991 constitution, which among other things separated church and state and opened up elections to other political parties, has failed to dramatically improve voter turnout. This is partly because armed conflict impeded many citizens to vote in the two decades after the new constitution came into force. Extreme political violence and persecution impeded potential reformist and leftist candidates to freely exercise their political rights. Furthermore, the new bill of rights failed to effectively curb widespread corruption in both elections and public administration. This has upheld the power of traditionally anti-democratic regional elites over state entities and has lowered public confidence in democratic institutions. It wasn’t until 2007 that citizens formed the Electoral Observation Mission to monitor elections and report on irregularities and alleged fraud. Colombia’s peace process sought to make the electoral process more inclusive, but exactly the elements that sought to promote democracy were blocked by the clans that have traditionally benefited from the current status quo.